It’s very important for women to look beautiful and perfect with their makeup. Therefore, in order not to make mistakes in choosing types of cosmetic products. 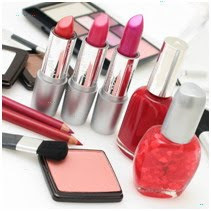 You shall know about some basic tips of buying cosmetic products. 1.You can increase your make up skill on the cosmetic counter. Beauty adviser there will be pleased to explain some make up techniques for their consumer. Look closely at their make technique on your face. What should be covered or highlighted in the face. Remember these make up tricks then you can practice it at home. 2.If you are interested in make up that used by the beauty adviser or sales girl, don’t be shy to ask. Write down the colors, types and brands of cosmetics they used. Who knows when you have more money, you can simply buy it. 3.Trying before buying. Ask for samples of cosmetics products such as foundation, concealer and lipstick you want to buy, and then try to apply it in your face. Because, there are many cosmetic products that are available and offered in variety of cosmetics stores, so make sure you choose the right products that match to your skin type. 4.Always check the size of the available types of cosmetic products that you choose. If you buy a product that you've never tried before, so choose the smallest size in order not to waste if the product doesn’t fit to your skin. 5.Purchase a hypoallergenic cosmetics type. These kinds of products are claimed will not trigger an allergic reaction like most of other cosmetic products. 6.Test cosmetics product that you purchase on your skin at least 24 hours, then if nothing happen you can apply it to your face. It's important to know whether the cosmetics that you used are fit to your skin type and do not cause irritation or allergy.